If you’re planning a move for your home or office, hiring one of the most competent and efficient moving companies around is vital. At Green Van Lines, we have a proven track record of providing extraordinary results to families and business owners just like you. If your upcoming move is less than 300 miles, you can hire experienced local movers in Irving to tackle the job. The skills required are just as significant as a long distance move; to ensure your relocation runs smoothly, professionalism and experience are necessary. Our Irving movers offer such traits in spades. When moving long distance, everyone expects the move to get complicated. At Green Van Lines, we will make the entire ordeal easier on you. Our reliable and professional movers in Irving get the job done promptly, ensuring you remain stress-free for the long journey to your new home. An automotive collection is probably one of the most expensive investments you can make. You should only trust professionals to help transport your vehicles to a new destination. 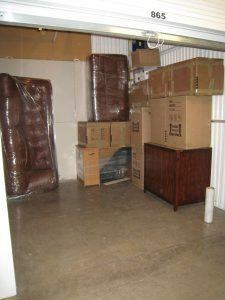 Our Irving movers have the tools and training required to perform such a job with ease. An industrial or commercial move requires careful planning and cooperation with expert professionals. At Green Van Lines, we eliminate confusion, minimize any downtime, and save you money. Everything should be carefully tagged to remove any confusion while packing and loading the trucks. Our movers in Irving won’t miss a single item. Uprooting your entire home and family can be an exhausting and stressful experience for everyone, especially kids. With thousands of items to wrap and prepare for shipment, no one can complete the task on their own. Our Irving movers are, simply put, the best around. With the right experience and packaging materials, your most prized possessions are safe and sound, so you can focus on what really matters. Relocating a corporate office requires a clear plan of action and someone to handle the logistics. Our friendly customer service representatives will work with you directly to ensure all computers, office furniture, and relevant documents are packed safely and securely for the long haul. If you’re interested in hiring Green Van Lines for your upcoming move, visit our main office in Addison, TX. Our address is 4015 Belt Line Road, Addison, TX 75001. Irving, located in Dallas County, has a growing population of over 228,000. As part of the Dallas-Fort Worth Metroplex, Irving includes one of the first master-planned developments in the country, Las Colinas. For tourists visiting the city, great places to stop and eat include Big State Fountain Grill and The Ranch at Las Colinas. Green Van Lines is the best moving company I have ever used, and that is coming from someone who has moved over 40 times! They were fast, friendly, funny, and treated my belongings as though they were their own. Not once did they scrape a wall or bang into anything. The hourly price was exceedingly fair and they didn’t drag their feet to kill time. They came in$100 UNDER estimate, too! I will use them for every move and you should, too. Steve and team were professional and made efficient use of time. The move out was smooth and orderly. Very well trained team, who know what they do. The crew took care of the move very efficiently and professionally. Excellent service and awesome price. Green van lines is great company to move. Steve and his team so helped a lot in moving our furniture and I recommend this company for all your future movings. If you require the services of Irving movers who get the job done right, contact Green Van Lines at 888-770-4733. We’d be happy to assist you today! We serve entire Irving, TX 75014, 75015, 75016, 75017, 75038, 75039, 75060, 75061, 75062, 75063, 75220, 75229, 75261, 75326, 75368, 76155.